The decorative lighting and ceiling fan manufacturer Minka Group sells ceiling fans sold under the Minka Aire brand name. Minka Group sells 70 different types of Minka Aire ceiling fans including many lighted models. They range from space-age and modern designs to Asian and classical shapes. 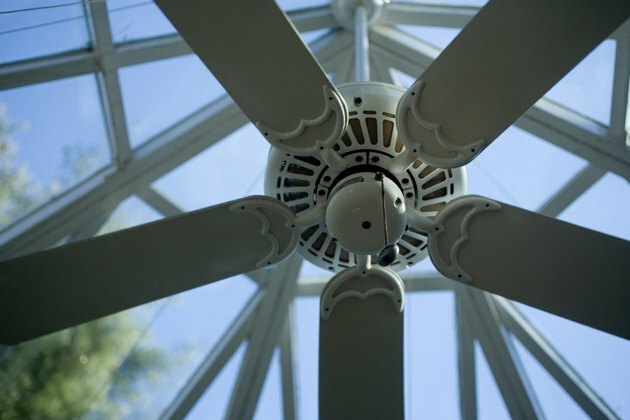 Typical problems with ceiling fans include fans not starting, noises and unexpected shut down. Address these problems with a little troubleshooting. Turn the wall switch on if the fan won't start. Take a look at the household circuit breakers and fuses. Flip any thrown circuit breakers and replace any fuses. Make sure that the remote control transmitter isn't more than the maximum 40 feet from the Minka Aire ceiling fan. Replace the batteries in the remote control if you are closer than 40 feet and the ceiling fan won't operate when you press buttons on the remote. Run the fan for 24 hours if it's new and the fan sounds noisy as they need a break-in period. If the fan continues to make a noise after 24 hours, check the screws that hold the blades to the motor to see if they are tight. If not, tighten with the screwdriver by turning it clockwise. Calculate the total wattage of the lamps installed in the fittings if your lights do not turn on or shut down unexpectedly. Wattage above 190 watts will trigger an overload safety feature that shuts down the lights. Look at the lamps themselves and read the lamp wattage; multiply the wattage by the number of lamps installed. Turn the power off, install lower wattage lamps and restore power.